When Wayland North brings rain to a region that's been dry for over ten years, he's promised anything he'd like as a reward. He chooses the village elder's daughter, sixteen-year-old Sydelle Mirabel, who is a skilled weaver and has an unusual knack for repairing his magical cloaks. 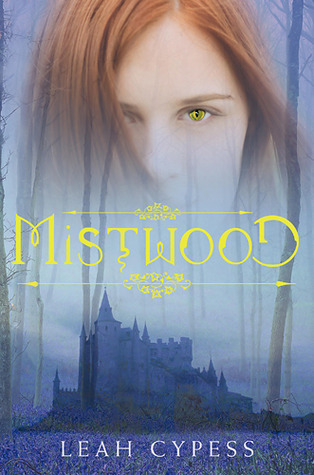 Though Sydelle has dreamt of escaping her home, she's hurt that her parents relinquish her so freely and finds herself awed and afraid of the slightly ragtag wizard who is unlike any of the men of magic in the tales she's heard. Still, she is drawn to this mysterious man who is fiercely protective of her and so reluctant to share his own past. The pair rushes toward the capital, intent to stop an imminent war, pursued gby Reuel Dorwan (a dark wizard who has taken a keen interest in Sydelle) and plagued by unusually wild weather. But the sudden earthquakes and freak snowstorms may not be a coincidence. As Sydelle discovers North's dark secret and the reason for his interest in her and learns to master her own mysterious power, it becomes increasingly clear that the fate of the kingdom rests in her fingertips. She will either be a savior, weaving together the frayed bonds between Saldorra and Auster, or the disastrous force that destroys both kingdoms forever. First, we're back!! With all the technological craziness, I'm happy to be writing for you today. The book I read is Brightly Woven. I know it's so different from my others. I guess Dark Matter Heart opened my mind to other genres. Now, I'm rambling. Let's get into it. Shall we? 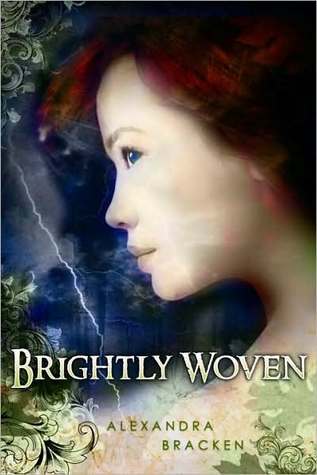 Brightly Woven was a magical entrancing tale about a girl trying to find her place in the world. That's nearly impossible when she is "kidnapped." The novel is action packed with more than romance. I was actually surprised by the level of romance within the covers. Alexandra Bracken, the author, did a wonderful job creating a romance story that didn't require much physical closeness. I enjoyed that (and you know me) haha. So, it definitely receives my in public approval. I always hate coming to the crusty part. Yet, it needs to be done. I couldn't really follow the path Sydelle and North embarked on. I don't believe it was lack of description. Most of the setting is described in Brightly Woven. I can't place my finger on the reason. It helps that Bracken provided a map. I know I used it constantly. There isn't a movie or tv show inspired about this book. Although if there were, I'd definitely watch it. My song derives from Moulin Rouge. The Elephant Love Melody is about a male trying to convince a woman to love him. I chose this because North has an unspoken love for Syd. In the end, it's reciprocal like the song. It's quite beautiful. I saved the mood for the end. Scroll up and take a hard look at the cover. It emits sparkles and magic. The cover is filled with nature and weather. Like the cover, which is amazing, the mood is magical. The smooth dialogue and words in Brightly Woven intertwined with magic and love. It made me feel warm like North's powers. If you enjoyed this review/ books, try these novels. I'm giving Brightly Woven Mr. Alexander Skarsgard. The reason this novel isn't receiving a five is because it glossed over one of the main issues in the book. Syd says, "We'll figure it out... together." That's it. What did they figure out? It bothers me. Arghh. I hope you enjoyed this review. I'll see you next Saturday for my review of Past Perfect.